FREE $10 Credit At Best Buy When You Spend $10+! 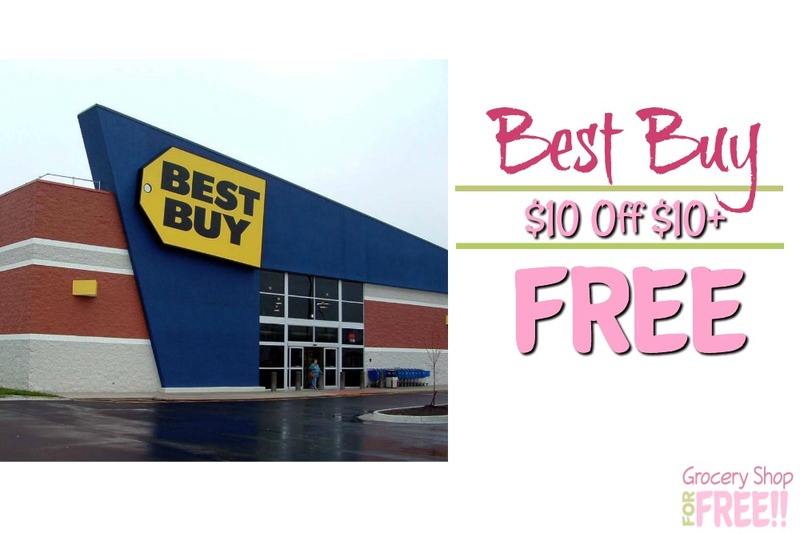 You are here: Home / FREEbies / FREE $10 Credit At Best Buy When You Spend $10+! Best Buy has a great offer for you right now! You can get $10 FREE When You Buy $10+ and choose to pick up in store! I LOVE FREE! Don’t wait this offer is good through 12/16/17! This will be a nice little bonus for you as you complete your shopping list! *Offer valid 12/3/17–12/16/17 on BestBuy.com orders with Store Pickup items totaling $10 or more (before taxes and shipping costs). Limit of 3 qualified transactions (limit of $30 in savings codes) during the promotional period. Limit 1 savings code per customer per transaction. Valid e-mail address must be provided when ordering to receive savings code. Savings code(s) will be e-mailed starting on 1/14/18 and are valid through 2/3/18. Savings code(s) may be redeemed online or in store. Not valid if your order is canceled, your item(s) are returned, or on item(s) that are not available for Store Pickup. Products from the following brands are excluded from this Store Pickup offer: Bose®, Boston Acoustics, Breville, Electrolux, Google, Leap, Sonos, and Wacom. In addition, select televisions, sound bars and Blu-ray players from Samsung, Sony and LG, the Dyson Supersonic, select projectors, select Beats by Dr. Dre, and select headphones and portable speakers by Sony are excluded from the offer.